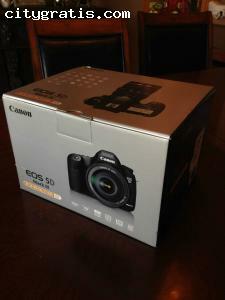 EOS 5D Mark III is generated by a full-frame 22.3-megapixel CMOS sensor that can shoot up to 6 frames per second (fps). Powered by Canon's state-of-the-art DIGIC 5+ image processor, the EOS 5D MARK III is capable of incredible ISO speeds of up to 25600 (expandable to 102400). A newly expanded 61-point Auto-Focus (AF) system makes it easier to track subjects with higher levels of precision and speeds.